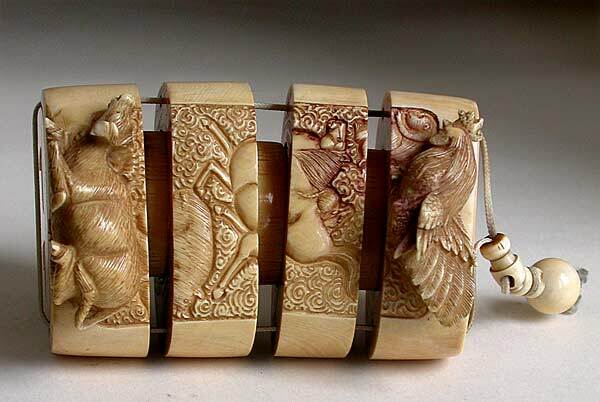 Zodiac animals netsuke are quite popular since over the years many buyers commissioned carvings depicting the animals under whose influence they were born. 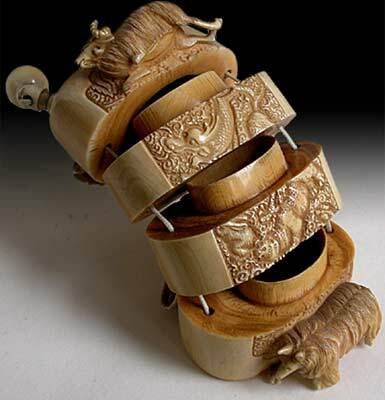 Nevertheless, authentic 19th century zodiac inro are rather rare. 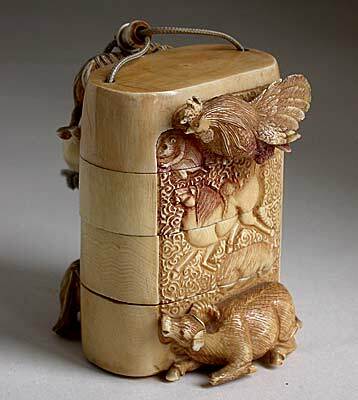 Shown here is a three-case inro carved from a single block of quality Asian ivory in high cameo relief. 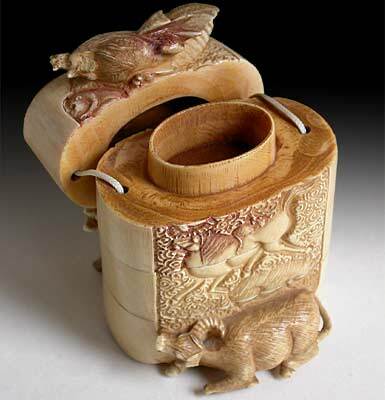 The composition focuses on the four protruding animals carved in the round, with eight others tightly woven into the spatial configuration on both sides. Their features are enlivened in their movements with fine details. 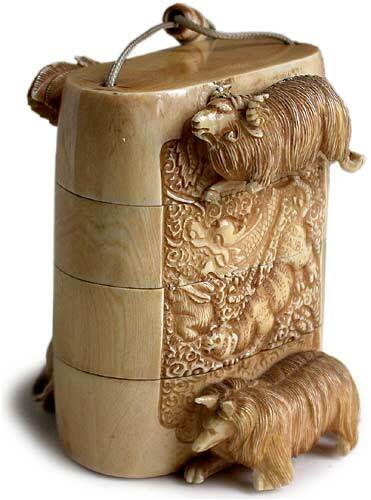 The ivory is beautifully aged with a highly polished even lustre. 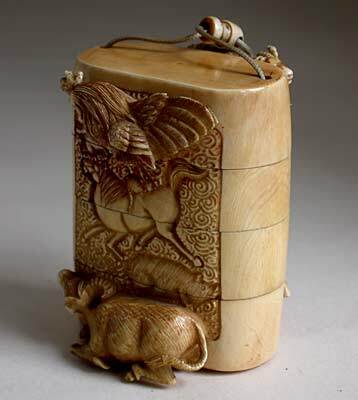 It appears to come from the core of the tusk, with a patina varying from a rich cream to light-gold. There are a few tiny chips on closer observation: the bull figure appears to have lost a horn, and three other protruding animals also suffer from chipped feet. Otherwise the inro remains in very good condition despite its age.